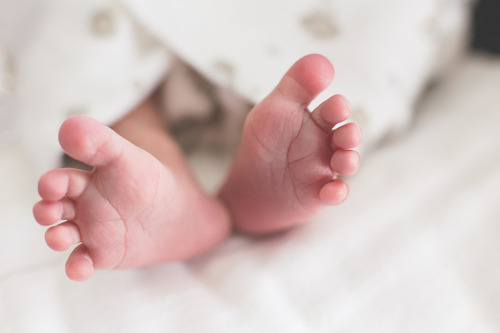 As a follower of Jesus, and in my experience as a volunteer doula and mother of four, there are times when I’ve been asked to explain the Christian perspective of labor and birth. Where I live in a global city in the East, we see different worldviews collide on every topic under the sun. Labor and birth are no exception. It’s my privilege to talk with ladies from different religions, teaching the gospel as I answer their questions about what the Bible says regarding labor pain and childbirth. In my local church context I’ve also had opportunities to encourage Christian women. We discuss how Scripture renews our minds, addresses our misconceptions, and exposes false gospels. We worship God together as he thrills our hearts with this incredible picture of grace. 1. Childbirth (new physical life) is evidence of God’s mercy. God would’ve been perfectly just to not allow Adam and Eve to live after they sinned against him in Eden. Ever since, we’ve all been born into sin and deserve death for our sin (Ps. 51:5). Life, then, is a precious gift from our holy God. Our response to life is heartfelt gratitude and humility. 2. God commissioned Adam and Eve to be fruitful and multiply (Gen. 1:28), but in judgment said he would “greatly multiply pain” in being fruitful (Gen. 3:16). In this regard (contra some philosophies of childbirth), a woman’s labor pain is unlike that of amoral animals. 3. Birth pains are a specific part of God’s judgment on Eve for her sin (Gen. 3:16), pointing to our need for a Savior. But painful and mortally dangerous pregnancies are not God’s final word, for he has promised a Rescuer (Gen. 3:15)! The pain we experience in childbearing is a call to repentance and faith, like a flashing neon sign pointing us to the cross, where Jesus suffered in our place to deliver us from the wrath of God (Rom. 5:9). 4. All women and babies delivered though the pains of labor are recipients of God’s undeserved, common grace. We should all rejoice in God's triumph of life over death in childbirth, even if we live in a time/place where safe pregnancies and births are more common than not. Further, we understand that all people everywhere who are delivered through the Redeemer who was “born of a woman” (Gen. 3:15; Isa. 7:14; Gal. 4:4; 1 Tim. 2:15) are recipients of God’s undeserved, saving grace. What wondrous love! 5. Jesus is our Redeemer. Shockingly, our Redeemer came into this world as we all did—through the judgment of birth pain. Because of his sacrifice on the cross, we now have redemption through his blood, the forgiveness of our trespasses, according to the riches of his grace (Eph. 1:7). We do not have redemption or forgiveness through our fertility. 6. We do not “trust birth” or our bodies; we place our trust in the living God in whose hand is the life of every living thing and the breath of all mankind (Job 12:10). The Lord himself is our refuge (Ps. 18:1–2), not any training, experience, person, book, facility, method, or plan. 7. God is the Creator of everything, including childbirth. From eternity past, God ordained Jesus’s nighttime words to Nicodemus: “Unless one is born again, he cannot see the kingdom of God” (John 3:3). We could infer that one reason God created childbirth was so we could have a picture to help us understand what it means to be converted: called out of darkness into his marvelous light. “According to his great mercy, he has caused us to be born again to a living hope through the resurrection of Jesus Christ from the dead,” Peter declares, “born again, not of perishable seed but of imperishable, through the living and abiding word of God” (1 Pet. 1:3, 23). 8. Both “natural childbirth” and “medical childbirth” are no more human accomplishments than is the act of receiving mercy from God. We all make our boast in Christ alone; he deserves all the praise at all times in all circumstances. 9. The flexible metaphor of birth pain appears throughout Scripture. In one place, the apostle Paul uses it to explain how our suffering produces future glory. Christians expect final deliverance from sin and death; however, in this present time we groan [as in birth pain] inwardly, as we suffer with Christ, “that we may also be glorified with him.” Because of this hope, our sufferings “are not worth comparing with the glory that is to be revealed to us” (Rom. 8:17–25; cf. 2 Cor. 4:16–18). In other words, the joy of resurrection life outweighs the pain it takes to produce it. This is yet another way the process of childbirth points us to Christ. 10. Jesus was crucified in our place for our sin, according to the definite plan and foreknowledge of God. God then raised him up, loosing the pangs of death, because it was not possible for him to be held by death (Acts 2:22–24). Whenever a woman or child is overcome by death in the process of childbirth, we grieve deeply. Pain and death are not benign “facts of life.” But we don’t grieve as those who have no hope, for the Day is coming when the one who overcame the pangs of death will bring to life again those who have fallen asleep (1 Thess. 4:13–14). All our groanings will end when we finally see what we’ve been hoping for, as the consummation of God’s promised restoration bursts forth in full (Rom. 8:23–25). What If the Point of Infertility Wasn’t a Child?